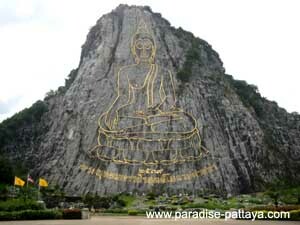 Pattaya Buddha Mountain makes a great day's outing. Jump on your motorbike or hop in your car and take a day off from Pattaya and all the partying. The temples below are in the enormous Wat Yansangwararam which is close to Buddha Mountain and well worth a visit. and yes you guessed it : plenty of Buddha statues and images. This makes it the largest Buddha Image in the world. It is 130 meters tall and 70 meters wide. 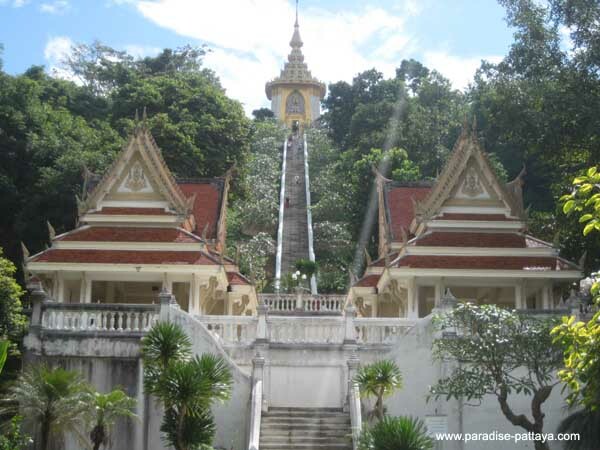 Buddha Mountain or Khao Chee Chan is next to the temple compound of Wat Yansangwararam. 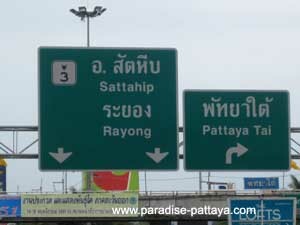 From Pattaya head south on Sukhumvit Road towards Rayong. 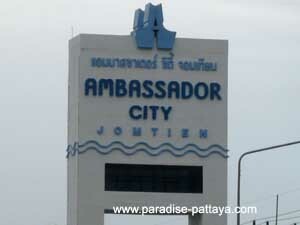 Go 9 KM from Pattaya Tai to Ambassador City Jomtien. You can't miss the sign on the right. 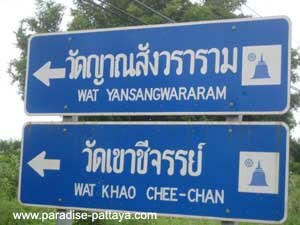 You will pass Pattaya Underwater world on the right and Pattaya Floating market on your left. 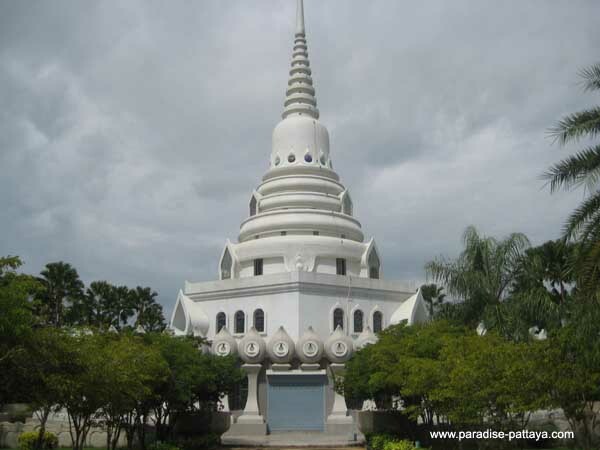 You will be travelling for another 4,5 KM from Ambassador City Jomtien to the sign 'Wat Khao Chee-Chan'. Here you could turn left if you want to visit the Wat as well, but if you only want to visit Buddha Mountain keep going and turn left next Road which will take you to Buddha Mountain. You'll enjoy the mountain picture. 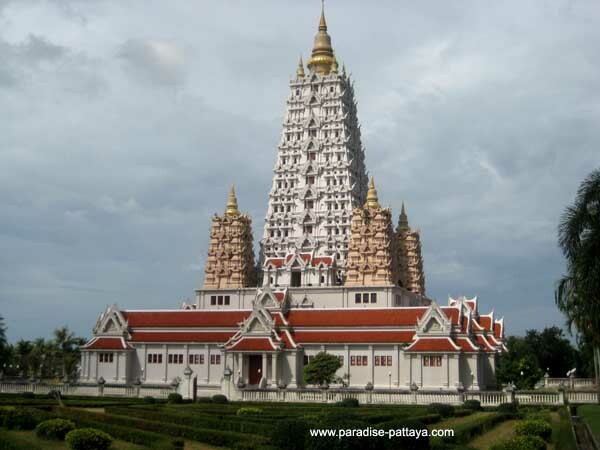 While you're at it check out these other Pattaya activities such as taking a quick ride to the Big Buddha. Have a good time in Thailand!